Welcome to Online Turf. We grow and distribute our Lancashire turf all over the UK. Lancashire turf is grown by us on quality soil and under ideal weather conditions, resulting in some of the best turf in the UK. We grow two types of Lancashire turf, Stadium and Rye Gold. Stadium is a low-maintenance family lawn turf, and Rye Gold is a more ornamental turf. Both of these varieties of Lancashire turf can be viewed from our turfcam where you can see the quality of the turf being distributed that day. 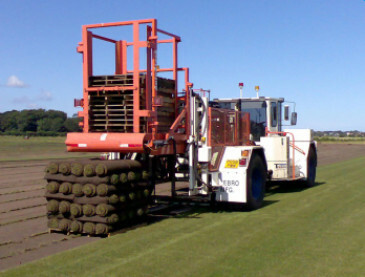 The aim of Online Turf is to produce beautiful Lancashire turf and provide excellent service. We deliver freshly harvested turf directly to you, normally within 24 hours of ordering during the working week or at a later time that’s more convenient for you. 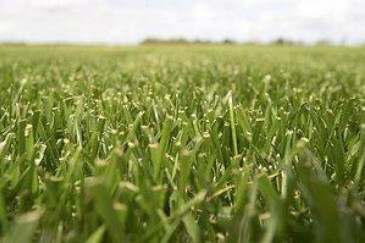 We provide a weed-free quality guarantee meaning you can be confident that you’re buying top quality turf. Why not check out our turf page to find the ideal turf for your garden? If you have any questions at any stage, please use our contact page, email or telephone. We shall be pleased to help you.